Children love badges. 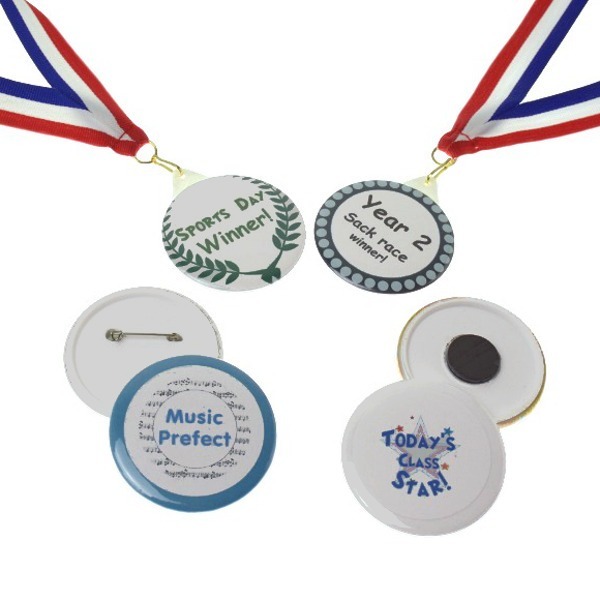 What a great way to engage and encourage youngsters to achieve their best by making up some reward badges to hand out. This pack includes all the pieces you need to make 100 badges, 100 magnets and 50 medals!